SWMBO gets wow-ed by Linz. 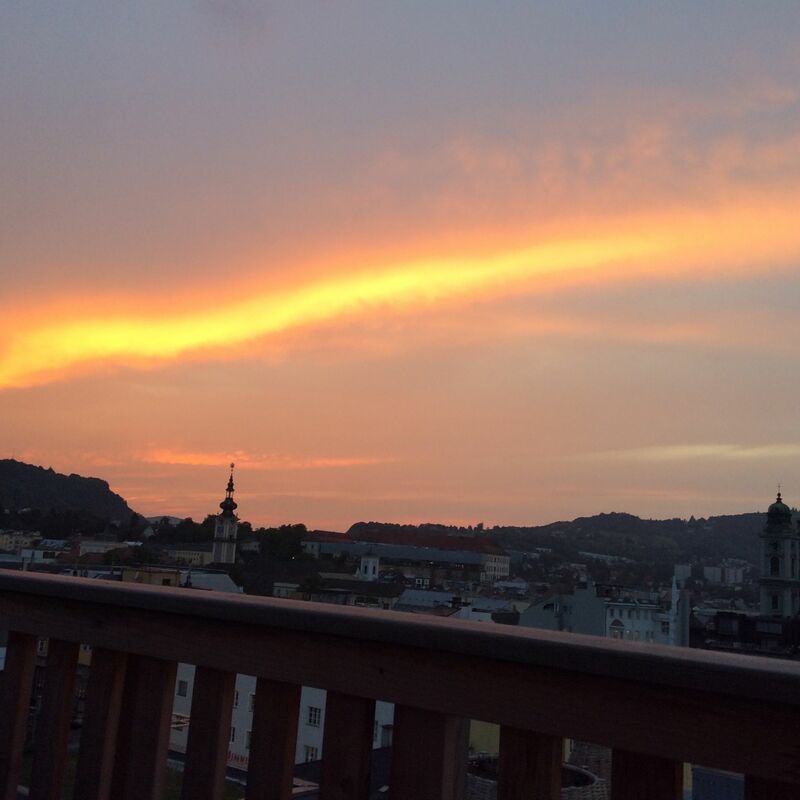 A few days ago, we visited Linz for the first time. 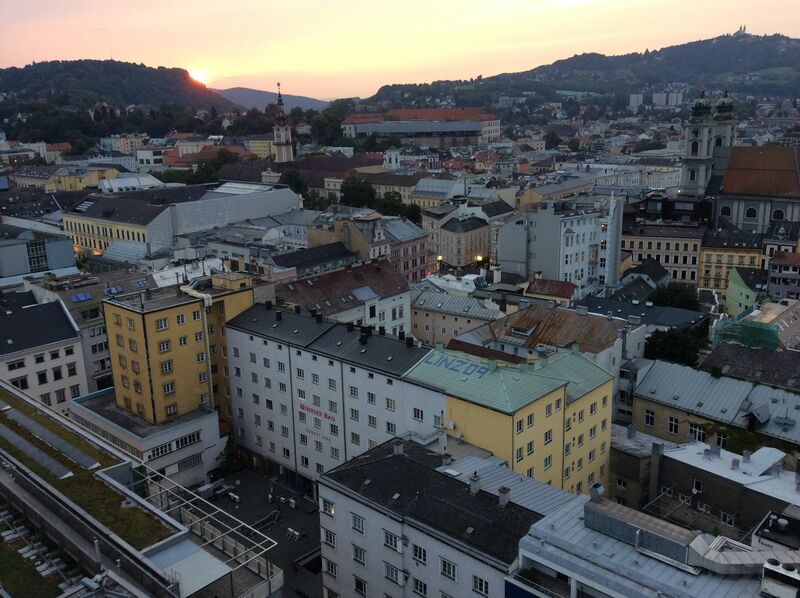 Linz is Austria’s third largest city and is located in the province of Upper Austria, close to the German border. Lifelongfriend took us to an art installation, dahling. Here is a short video of the kids and I jumping! In 2009, Linz was designated as European Capital of Culture. This designation is given by the EU for a period of one calendar year and allows a spotlight to shine on a city with a lot to offer that might otherwise not get the attention it deserves. 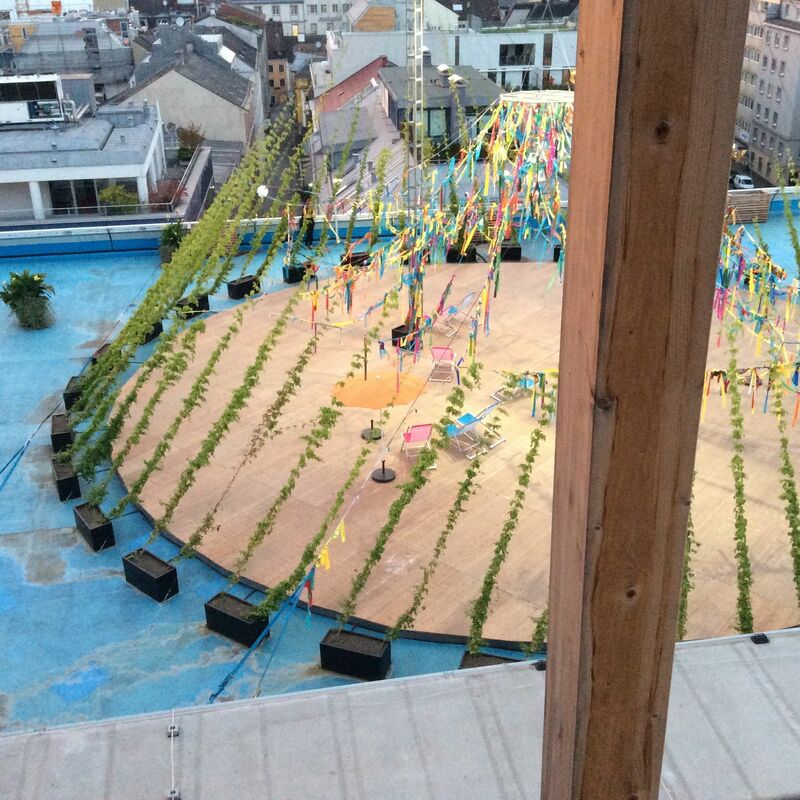 To mark its year as culture capital, one of the things that Linz did was to organize “Höhenrausch”. It has since created a new Höhenrausch every summer. Höhenrausch translates as “drunk” and I think it is meant to express a heady euphoria that I know my family experienced there. 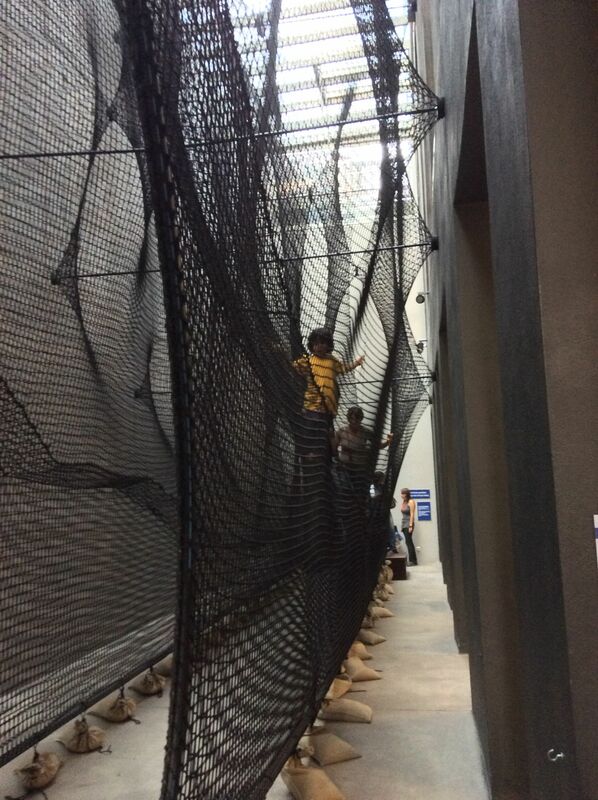 You enter Höhenrausch by taking off your shoes, putting them in a special backpack and climbing up this net! What is Höhenrausch? I’m not sure but it’s pretty awesome. For 19 euros a family can be amazed. That’s two parents and ALL their children, a rarity in Austria. For example, at the Hallstatt salt mine, a family is two parents and ONE child, each additional child paying 11 euros! 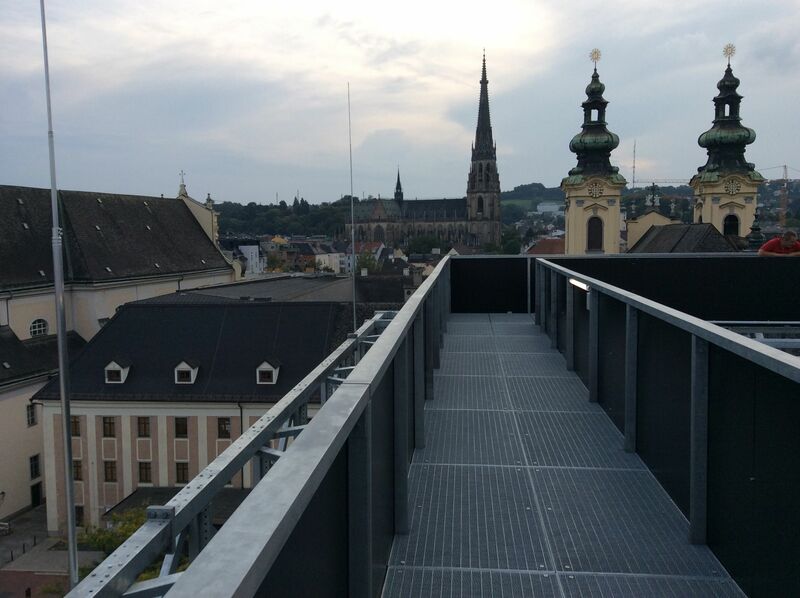 As far as I can tell, Höhenrausch is a bizarre physical construction that connects the rooftops of downtown buildings and allows for art exhibits to happen in stairwells and various odd places. It is also comprised of the Voestalpine Open Space. Voestalpine is an international steel-based technology company headquartered in Linz. 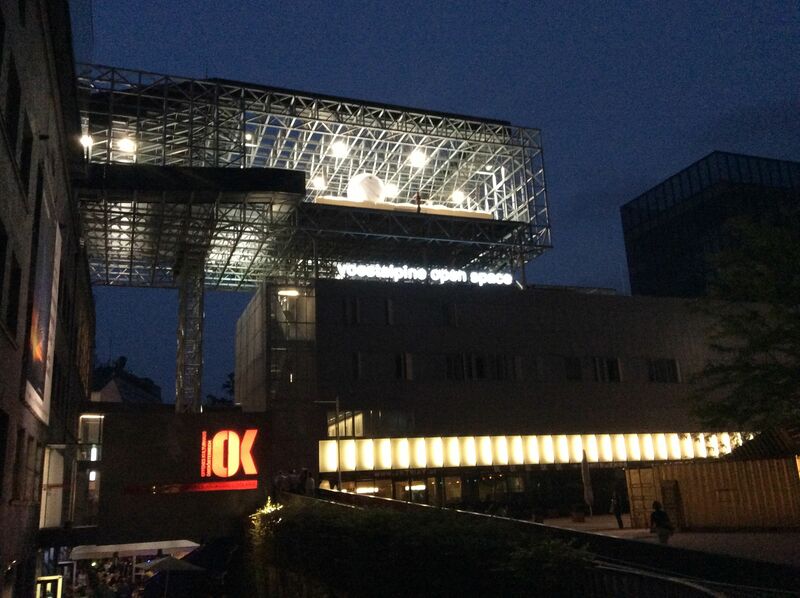 The company says that the Open Space is a cultural and spatial laboratory. Too true. It’s a constantly changing artist event space. Oh ya, and also a place to watch movies under the stars. The theme for Höhenrausch 2014 is Bewegte Räume or Living Rooms. This summer, Höhenrausch explores how we move through physical space and how our physical surroundings can inspire us. 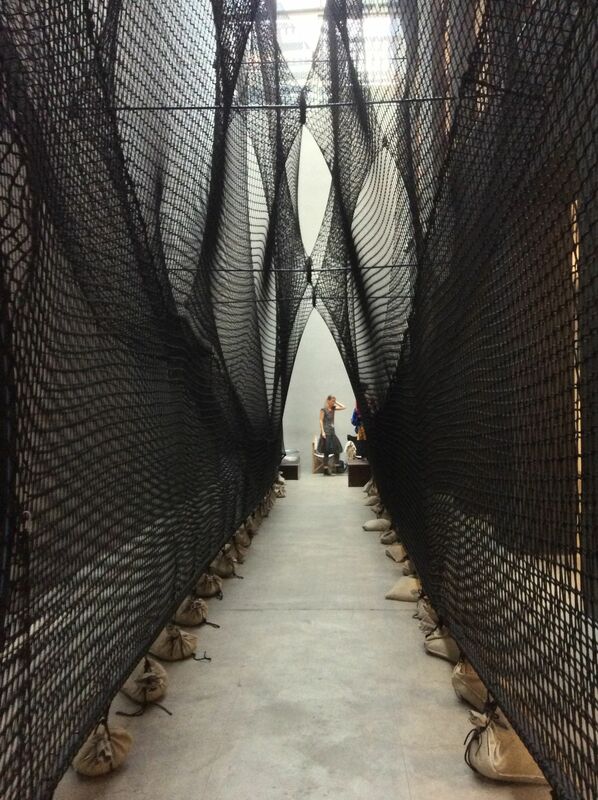 Like the best art installations the world over, Höhenrausch needs to be experienced in person. Words, pictures and movies don’t do it justice. I think I want to be an artist.